We definitely have a soft spot for a charming pug all dressed up! 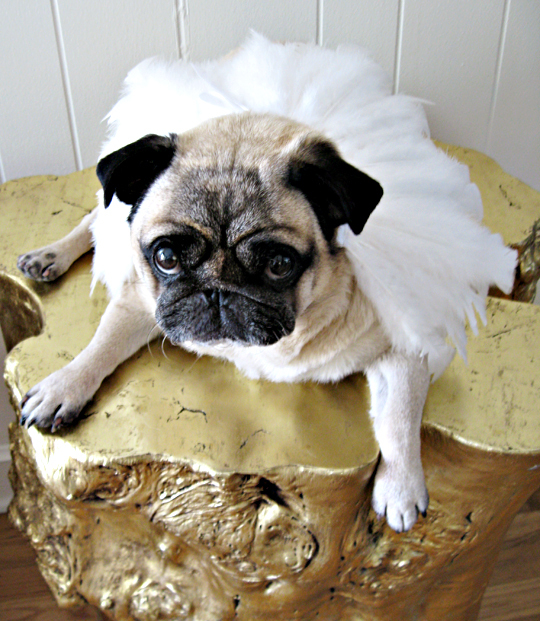 It’s hard to pull off feathers in your ensemble, but this pug is doing a great job. She even has her fierce model look perfected!